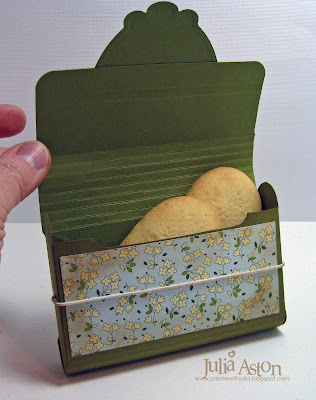 If you visit my blog often - you know that I am all about the paper crafts and templates - so today I'm very excited to share wth you how I used Claire's Rubber Band Box Template from her April release to showcase two new sets being released tomorrow! 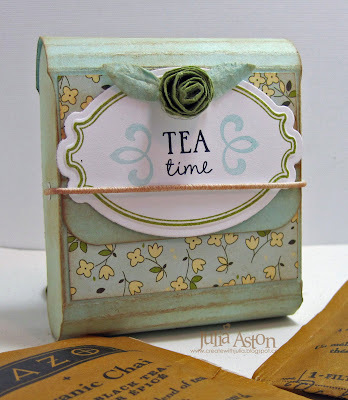 - Afternoon Tea and Vintage Labels 10. This is the larger template. 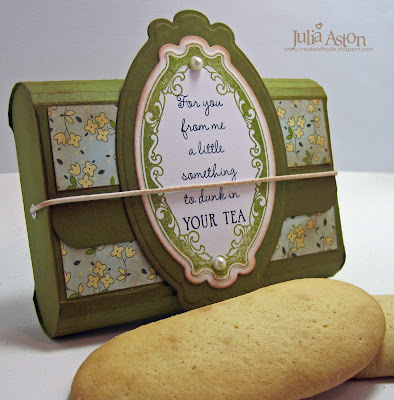 The sentiment is from Afternoon Tea and the label stamp is from Vintage Labels 10 which conveniently fits inside the Nestabilities of the same name! Here's a view of the open box with the Stella Dora Egg Jumbo cookies tucked inside. You can actually get three or four of these cookies into this box when you lay them down. I used a different Vintage Labels 10 stamp for the framing. The sentiment and scrolls are from the Afternoon Tea set. I sponged all the edges with Tea Dye Distress Ink. Here's a peek inside this box. You could fit 4-5 tea bags inside. Wouldn't this be a great set to bring a girlfriend when you drop over to visit??!! First you draw a swirl as shown - cut it out and roll it up starting from the outside end. 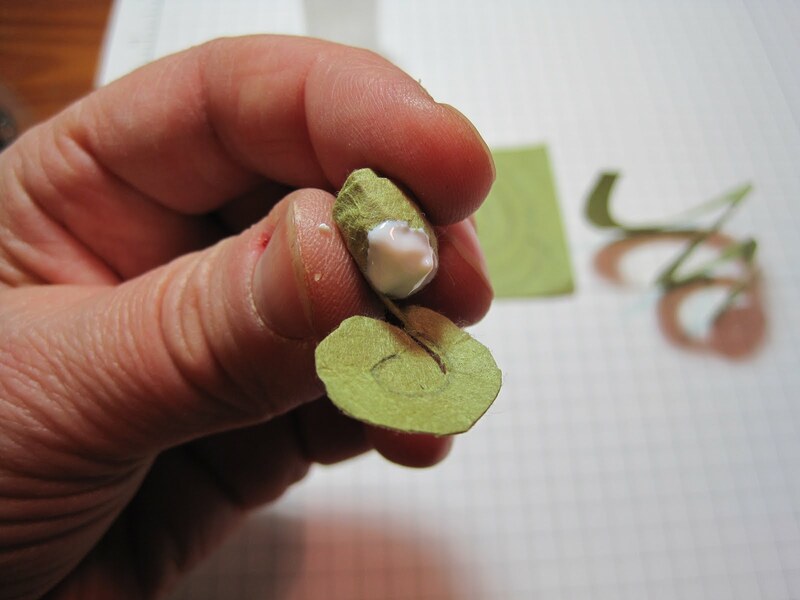 It will be pretty tight so I place it on my work table and tap the top a littlewith my finger tip so it opens up just a bit. 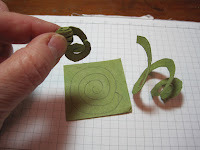 Then I dab some Scotch Quick Dry Adhesive on the bottom and push it onto the center of the scroll that sort of makes a platform for the flower. This works up in just minutes and they look so cute don't you think?! 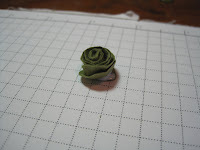 The leaves were made with mulberry paper also - I just cut a leaf shape, sponged it with Tea Dye Distres ink, creased it down the middle than attached it under the rose. You can use any kind of paper for these and make them any size - I started with a 2"x2" square. Now it's time to check out the other WMS DT Ladies to see what inspiring Sneak Peeks they have to show us! Bonnie, Lisa, Jennifer, Anya, Laurie and Claire. 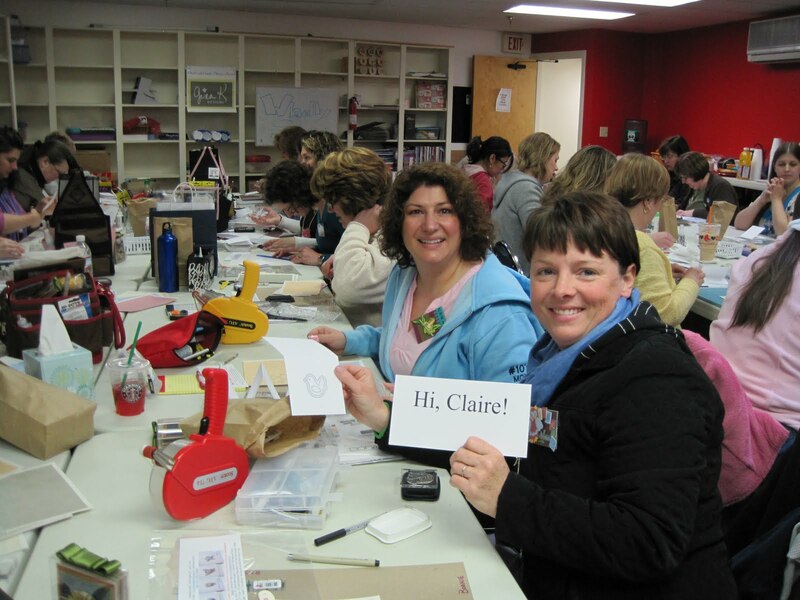 And there's still time to get in on Claire's Sketch Challenge! 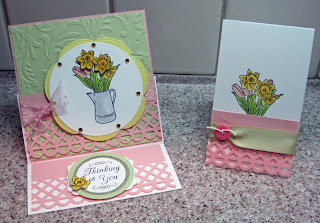 ETA: and my flowers today just happen to fit Sharon's No Time to Stamp challenge today - to use 3D flowers for May! 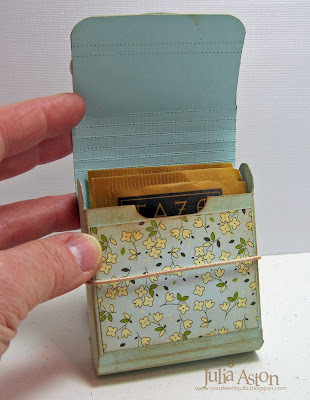 Accessories: Waltzingmouse Rubber Band Box Template, sponge, scor pal, scor tape, round elastic cord - Dritz (Joanne's), cropadile, labels 10 nestabilities, cuttlebug, silver eyelets, 2 buttons. Are you loving all the new WMS sets coming out??? I know I'm loving using them!! 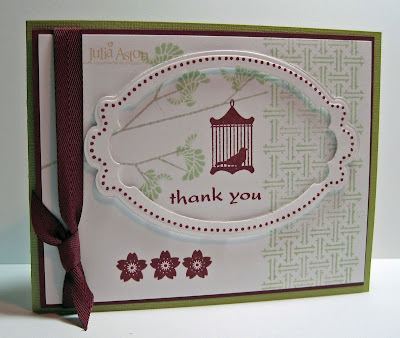 There are so many beautiful stamps and so many wonderful sentiments! Only two more days to go 'till you can see them all and get them into your shopping cart!! Just look at this branch and the wonderful leaves on it (a separate stamp) and the sweet bird cage (there are two in the set!) 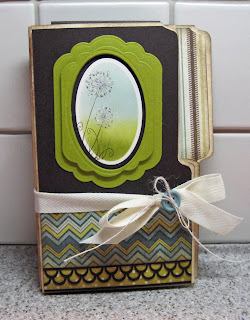 I stamped them all on a white panel - then stamped the Vintage Labels 10 frame and cut it using two size dies, so it cut the outside and the inside. I popped up the frame over the image panel using foam dimensionals. 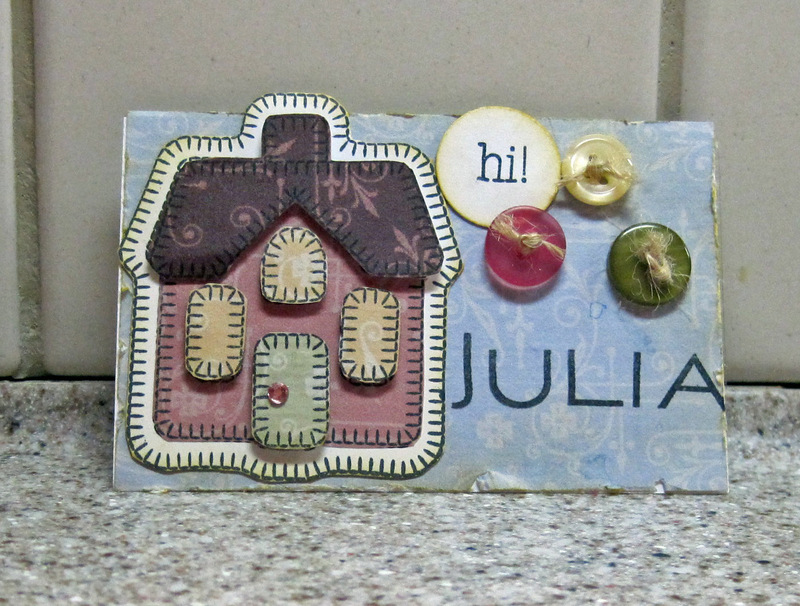 I added a coordinating panel on the inside of my card. Please check out these WMS DT members who are also sneak peeking for you today! Bonnie, Lisa, Belinda, Lynn, Anya, Laurie and, of course, Claire! See you tomorrow! 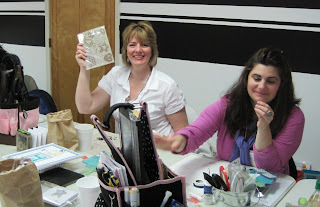 One more day of sneak peeks and then on 5/1 it's the WMS DT Blog Hop and Release Day!! You could win a free stamp set! Don't miss it! ETA: Claire has a fun sketch challenge going on check it out here You could win all 8 sets of the new release!!! ETA: See the Rubbernecker Blog Hop Winners on post below!!! 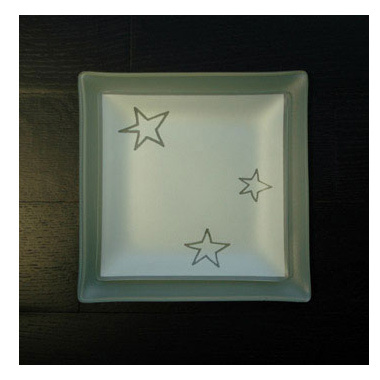 Whoo Hoo - one winner was chosen from comments on my blog!! 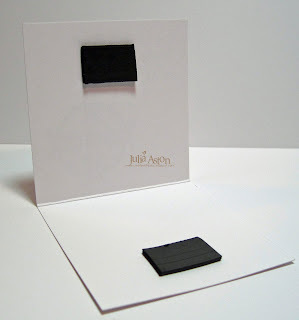 Accessories: Labels 10 Nestabilities, cuttlebug, Scarlet Jewel twill - PTI, foam dimensionals. CONGRATULATIONS to Holly and to Leslie! You have each won your choice of one of the new collections from Rubbernecker Stamps! send your email addy & mailing information along with your choice of new collection to Bev at [email protected] ! Wow - have you been checking out the Waltzingmouse Sneak Peeks?? They started yesterday with some of the WMS DT and I have some for you today! 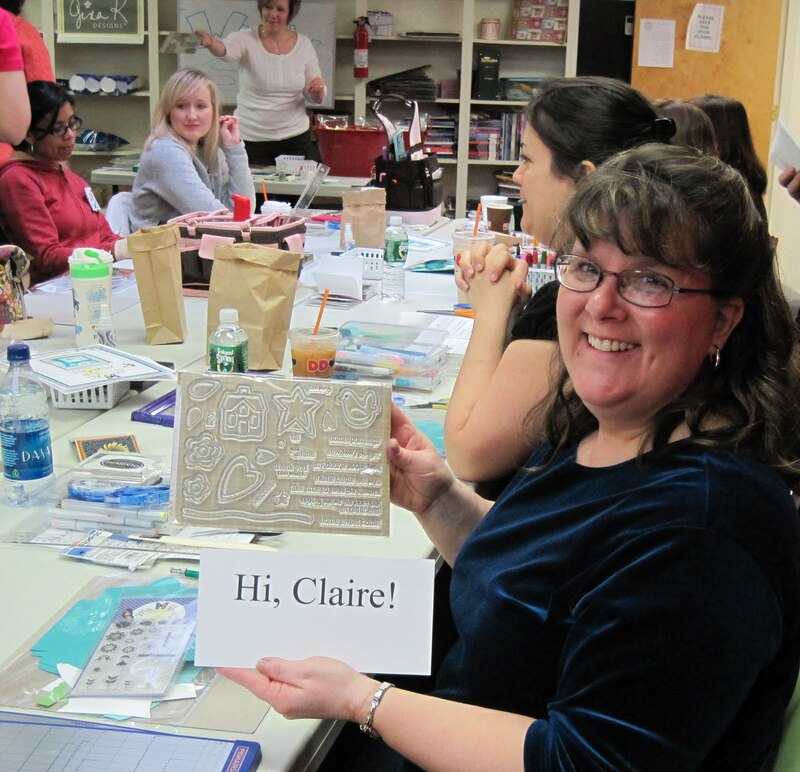 Claire is celebrating WMS's 1st anniversary this May and to mark the occasion she is releasing 8 wonderful new stamp sets! You'll want to start making your shopping list right now! 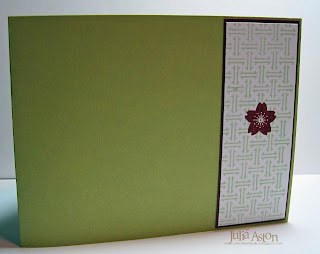 I'm using Big Blooms today as well as sentiments from Asian Garden (I'll be using some of the images from this pretty set tomorrow!) and Fancy Phrases. 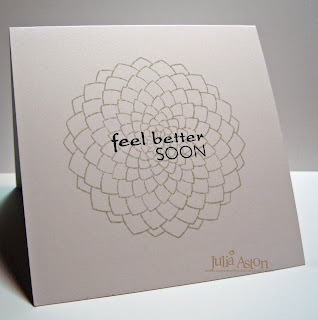 First, I have a get well card using both the solid and outline chrysanthemums in the Big Blooms set and sentiments from Asian Garden. 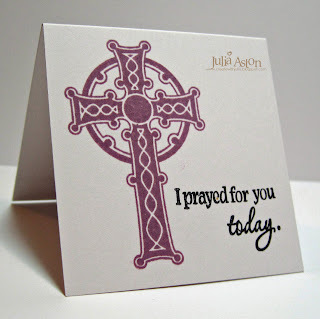 This card is 4 1/4" x 4 1/4"
I also stamped the inside of my card. You'll really want to check out the rest of the WMS DT who are showing sneak peeks today : Belinda, Anya, Laurie, Lynn , Bonnie, Jennifer and our Claire. I'll be back tomorrow and Friday with more sneak peek excitement for you!! 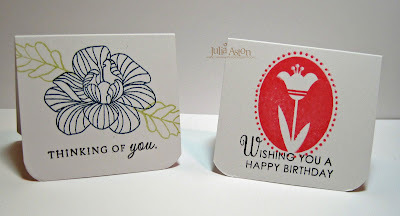 On Saturday all of the WMS DT will be participating in a blog hop using a super fun new template and there will be two stamp sets to be won!!! Trust me - you will not want to miss it!!! Note: Claire is also running a Shipping Promotion in the store on May 1st and 2nd. Orders of $77 US or 50 GBP sterling, will qualify for free shipping! So those two days would be a really good time to order all the WMS sets on your list!!! Paper: White - PTI, Core'dinations/vintage collection. Ink: Adirondack - Raizin, Lake Mist, Memento Tuxedo Black, Stazon Black/Olive Green/teal Blue. Rubbernecker April Release Blog Hop - You Can Win! 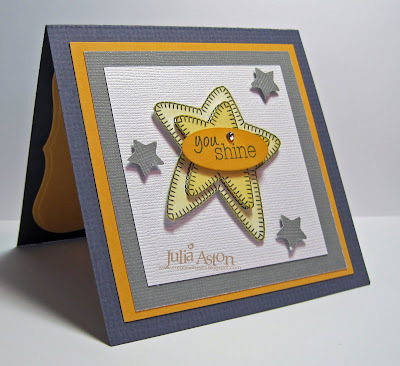 The Red Hot Mamma's have put together another Rubbernecker DT Blog Hop to highlight some of the new stamps Dave has released this month. 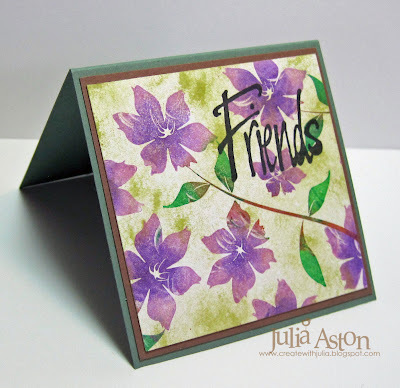 Today I'm showcasing this beautiful Victoriana Damask Background stamp. I just layered a lacey punched panel (Martha Stewart punch) and the sentiment panel - keeping it clean and simple to show off the beautiful design of this background stamp. The cardstock (SU) and ink (Adirondack) are eggplant - hopefully that shows up in the photo -it can sometimes photograph like it's black! Two winners will be chosen randomly from the comments left on all of the participating Red Hot Mommas' blog hop postings. You get to choose the complete set of one of the new releases listed here! So be sure to leave a comment at everyone's blog below for your chance to win! That gives you 8 chances to win if you hit all our blogs!! Dave has recently lowered many of his stamp prices, including the new releases! So be sure to check them all out at Rubbernecker! Here are the Hot Mamma's blogs for you to check out and leave a comment - Good Luck! 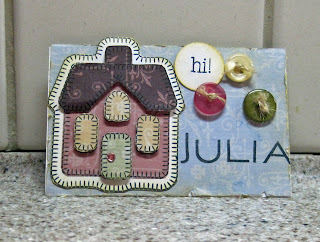 And please come by tomorrow for the start of my sneak peeks for Waltzingmouse Stamps! 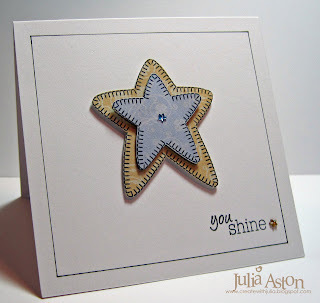 And I was inspired by this star plate above to create this star card below! Inside I layered a panel cut with Labels One Nestabilities. 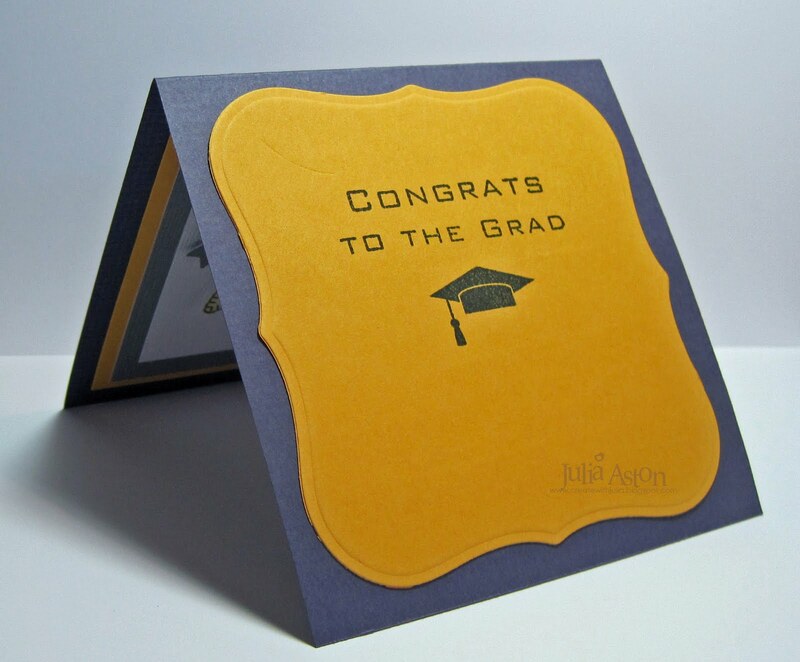 The graduation sentiments are from WMS Free Spirit Sentiments and the cap is from Free Spirit-Boy. If you would like to see how Claire's WMS stamps are packaged - the size of her sets- the cost comparisons (US dollar vs British Sterling vs Euro) and shipping costs check out her informative posting here. AND - the WMS DT will be showing sneak peeks of the May 1 releases starting next Tuesday (I'll be starting on Wed) - so be sure to check back - Claire has some wonderful sets coming out and she is already showing some teasers!! 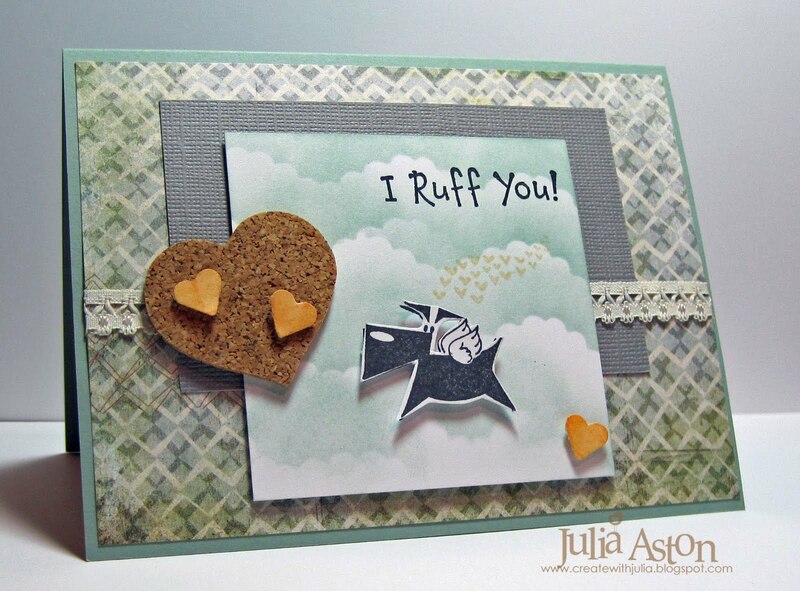 Accessories: Heart punch - McGill, foam dimensionals, sticky gem, small oval punch - SU, labels one Nestabilities. 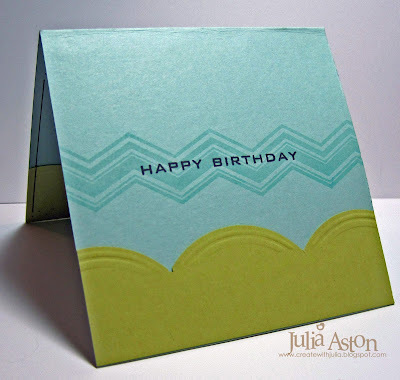 I hit both of the Monday Split Coast challenges with my guy birthday card - the CAS challenge was a sketch and the Technique Challenge (guest hosted by Vicki Dutcher- whoo hoo GF!!!) was to use piercing. 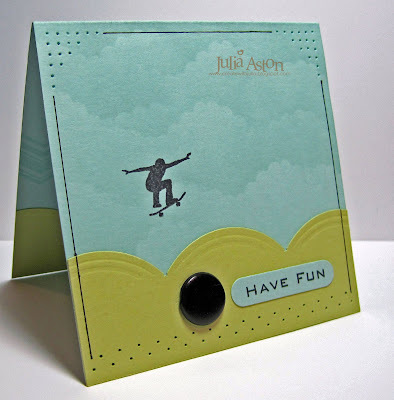 A great design for all those boys-kids-guys in our lives don't you think?! I pierced the top corners and along the bottom edge - connecting the piercings with a drawn black line. I sponged the clouds using my hand made cloud template. The punch is EK Success. On the inside of my card I repeated the punched panel and stamped the zig zag background in the same color as the card stock, overstamping the sentiment in black. 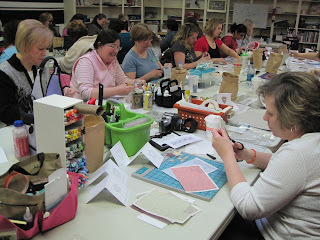 Welcome to the 2nd Friends of WMS Blog Waltz! It's all happening over at the Play Room in The Waltzingmouse Forum. The theme for today's Waltz is Mother's Day! is from Off Beat Backgrounds (I just love this stamp!) The little heart stamped on the quote is from Earth Angel. 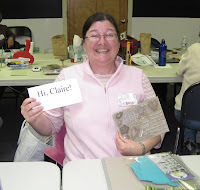 The DP is one of Claire's great digital's - Victoriana Papers. 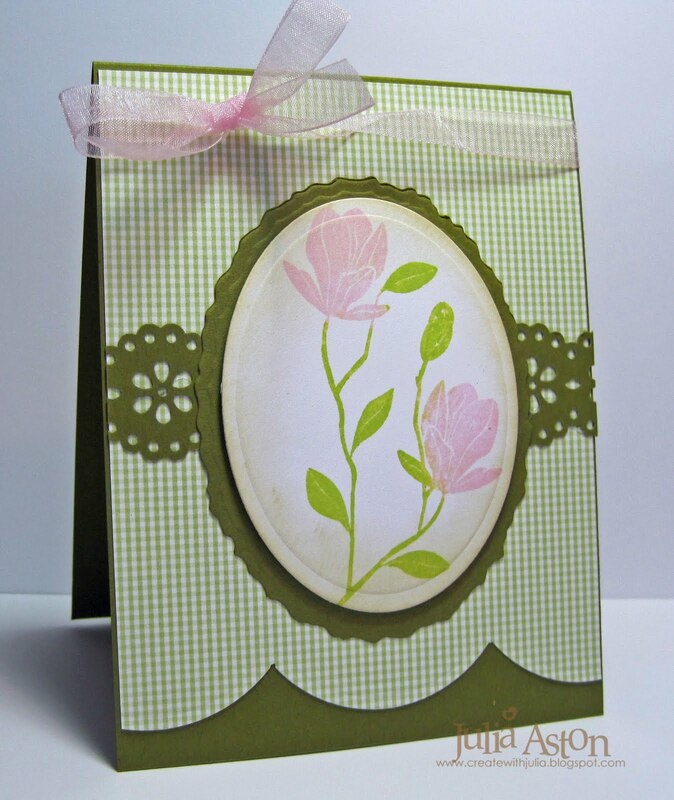 I used the stitched background again on the inside of my card to frame the sentiment and punched two strips of the digital patterned paper for top and bottom. Now go back and look at my card and see how many little round white flowers I've 'hidden' on my card. (NOT the daffodils!) 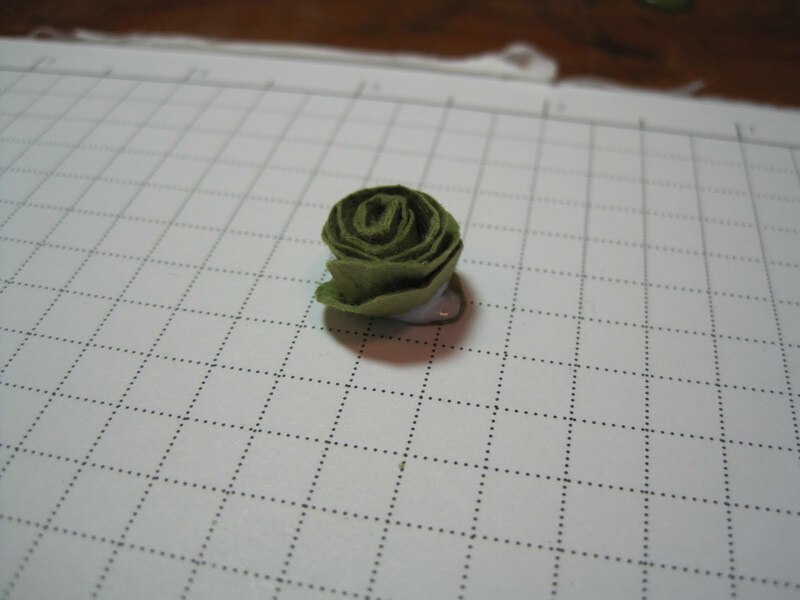 You need to add up the flowers that all the DT members have hidden on their Blog Waltz cards and enter that number over at the WMS forum in the Playroom - Claire will pick a winner from all the correct guesses! See all the deets on Claire's blog. 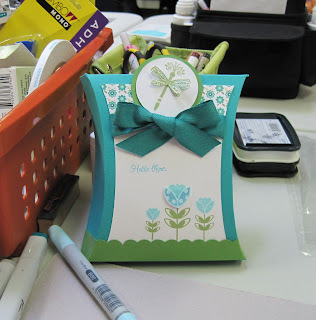 Accessories: Glue dot, foam dimensionals, Fancy Tags Shapeabilities, butterfly punch -Martha Stewart, Top Note Die - SU, Eclipse Tape for masking, EK success edge punch. Get Ready for the WMS Blog Waltz! The WMS April Blog Waltz begins on Saturday, April 17th at 7:00 am Pacific, 8:00 am Mountain, 9:00 am Central, 10:00 am Eastern, 3:00 pm GMT! Once again, the festivities will begin in the Play Room in the Waltzingmouse House forum. (If you haven't registered yet for the forum, it's just a few clicks away!) The threads will go live when the waltz begins... one for you to post your blog link to your project if you are participating in the waltz, and another for chat. And of course there will be prizes!!! 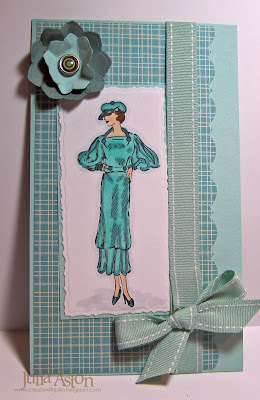 The theme for this month's waltz is Mother's Day! 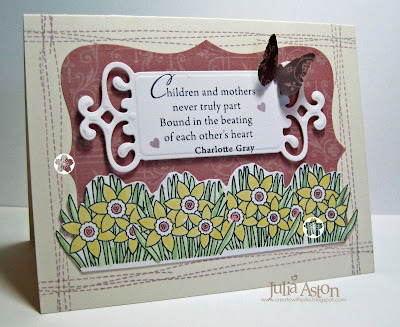 All we ask is that you use Waltzingmouse Stamps stamps for your Mother's Day cards/projects. 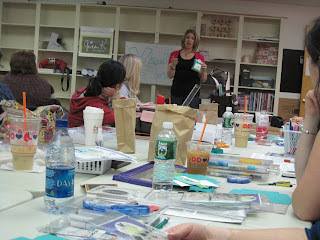 Check Claire's blog for all the Deets! We hope you join in for all the fun!! 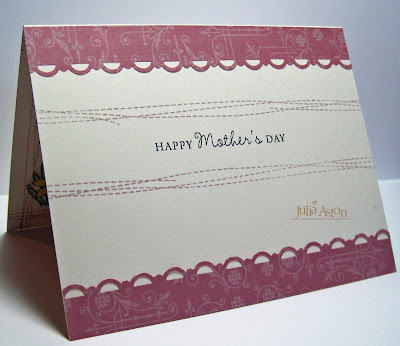 Please come back tomorrow to see my WMS Mother's Day Card! I haven't been posting as much this week because I've been on vacation and doing some fun things with the DH like taking walks and going to movies (we saw It's Complicated - how funny was that!?!?! I just LOVE Meryl Streep), visiting my sister for lunch and cleaning up the house a bit! 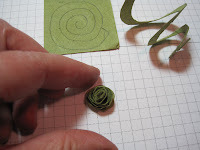 I've also been busy on some DT work that I can't share just yet! But I do have several more magnetic book marks to show you that I made for some friends. Just a pic of the sticky magnet strips inside the bookmark. The next 4 bookmarks all use stamps from PTI - Tea for Two, Damask Designs, In Bloom and Wishing You. Useful little gifts for the book lovers in your life! Tonight I'm off to teach at the Stamping Around weekend. I'll have some pics to share on Sunday! Winners of Rubbernecker Blog Hop!! Whoo hoo!!! 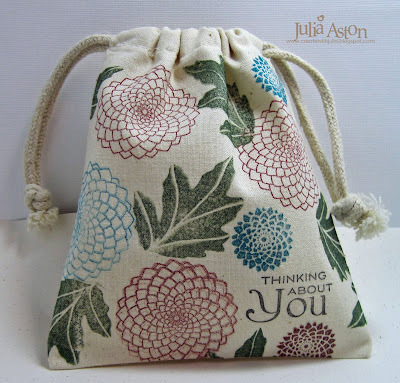 The winners have been chosen from our Rubbernecker Blog Hop this week. Our two, randomly drawn winners from comments left on all the Red Hot Momma's blogs are: "Sue D", and "craftymom205"
"All are absolutely beautiful! A tutorial would be wonderful. Great cards. I especially like the first one. So - Craftymom205 and Sue D, please go to Bevs blog for instructions to claim your prize! You will need to decide which stamp set you wish to receive from the list below! what a dilema huh?! Congratulations to both of you and thanks to everyone for hopping with us! We'll be doing this again on 4/27 so don't despair if you weren't a winner this time! 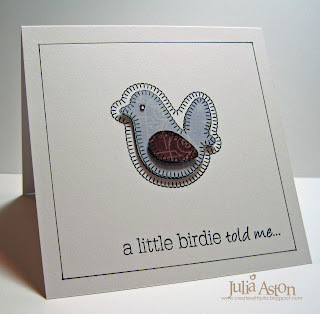 Pat Smethers was the Featured Stamper over on Split Coast this week - she makes the most wonderfully detailed cards. I chose her May's Swing Card to case, changing the punches and the stamp used. I'm going to use this as a get well card and will stamp an appropriate sentiment on the inside. 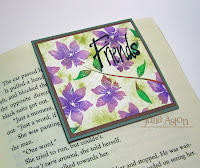 My pretty flower stamp is from a new release of florals by Rubbernecker Stamps #496-06 and I used my brandy new deckled edge oval nestability for the framing. The bottom punch is by EK Success and the lacey punch is a Martha Stewart. Accessories: organdy ribbon - SU, foam dimensional, curved punch - EK Success, Lacey punch - Martha Stewart, oval and deckeled edge oval nestabilities. Rubbernecker - Fashion, Florals & Weeds (Oh My!) Blog Hop! I'm so excited to be part of my first Rubbernecker Blog hop! 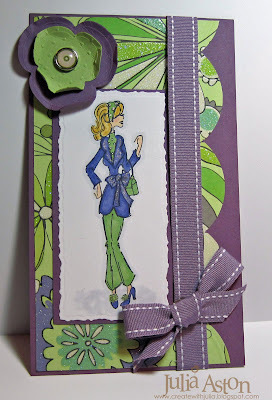 I've got three projects to show you today highlighting the beautiful new Fashion Ladies, Florals and Weeds Stamp sets that Dave recently released. 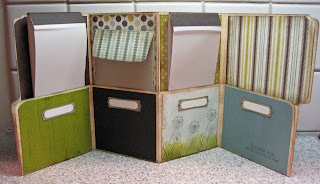 See how you can win one of these complete sets at the end of my post! First I made a magnetic bookmark using Florals #496-01 The sentiment is from an older set called Word Set #4 under KK Originals. I cut small strips of adhesive magnet tape and attached it on the inside ends. For my second project - I used seven of the weed stamps to make a set of 4 1/4" x 5 1/2" note cards that I put inside this clear acetate box. 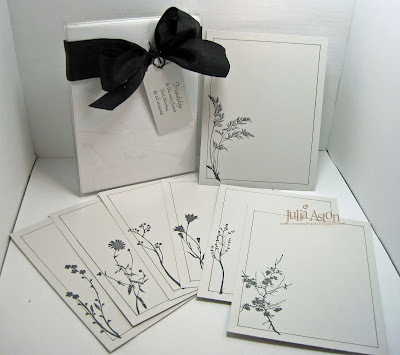 I simply drew a border around the card with a fine point Micron 01 black pen and then stamped a different weed with black ink on each card. 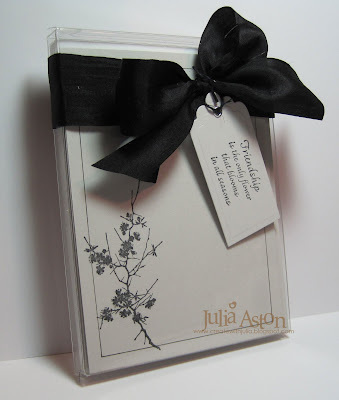 I tied a black silk ribbon around the box and attached a Spellbinders scalloped tag stamped with a sentiment from an older set Floral Silhouette Set #467. "Friendship is the only flower that blossoms in all seasons." Don't these make a great set of note cards?!?! 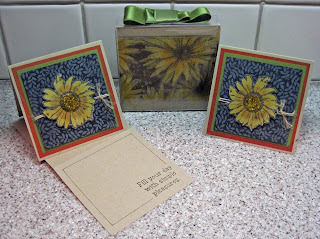 They are both colored with Copics and the flowers are Floral Creations 3 Spellbinders. The Prize: You get to choose the complete set of one of the new releases listed here! 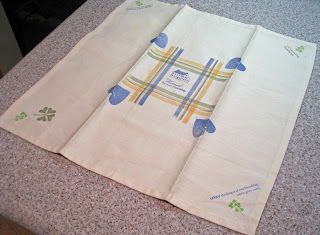 So be sure to leave a comment at everyone's blog below for your chance to win! That gives you 9 chances to win if you hit all our blogs!! So here are the blogs you need to check out and leave a comment at! Thanks so much for coming by today - and for sticking through this LONG post!! and be sure to check back here on Thurs night to see if you won! Wishing You a Most Blessed Easter Day! 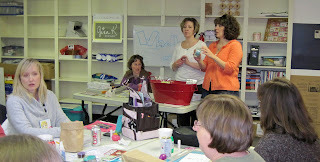 WMS New Release DT Blog Waltz!